Well guys and girls, I’m going to cheat this week. I’m off to Barcelona end of this week for a long weekend of drinking and relaxing hopefully, and so I’ve managed to convince Ant (not that he needed much convincing) to alter the plan a little bit and go for Cava. Now over the last couple of years Cava has become much more prevalent on the shelves in supermarkets across the UK. It’s that less expensive bubbly isn’t it? It’s a tad unfair because it’s a standout drink in its own right. The plan this week then is to talk about why it’s different, and to taste a few glasses that’ll make you realize this is a serious drink, and we’re damn lucky in the UK to have such great access to them. None of the problems from last week luckily enough, and I can have pretty much free reign over the supermarkets and shops. Wherever you shop, they’ll have a Cava! Enjoy Barcelona, go to Las Ramblas. Actually is quite difficult not to pass through there. And tell them that me, and the rest of the Spanish population, say they are not an independent region, they are part of Spain. Say that to them from my me part. 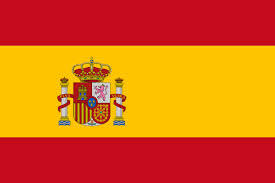 I´m the Spanish conquistador. Viva España! Enjoy the cava also, it is a good one at least last time I was there some years ago. I’ll do that, I’ll let you know if I survive! haha, very true… probably won´t get out of there alive if you take out the Spanish flag, that´s for sure. Enjoy your trip! I am sure you will bring us some excellent wine reviews. Thanks very much, will let you know! Inexpensive (relatively) Methode Traditionelle; break out the sabers! You had a go at that? Pingback: Please Bring Me My Wine | #NWTW Week 25: So What’s So Different About Cava? So back to the Bubbles again this week, quite soon since the last time too- it’s as if someone was on holiday in Barcelona and needed an excuse to trawl the Cava bars??!! I popped into Sainsbury’s this week for a change, and chose the Taste the Difference 2011 Vintage Cava Brut for a knockdown price of £7.12 from £9.99. This wine actually won a Silver medal in the International Wine Challenge (IWC) last year, so the prospects were promising. The producer of this Spanish sparkler is none other than the famous house Codorniu. They won their first Gold medal for their cava in 1888, only 16 years after the first ever cava was produced, so if they don’t know their bubbles no one does. It’s staggering to think that a bottle of vintage cava produced in the most laborious way possible, very similar to that of champagne, can market for £7.12, with £3.82 of that made up of tax! That’s a hell of a lot of fizz for £3.30!! The judges at the IWC commented that the cava was ‘perfect for party quaffing’, and they’re spot on-I’ve drank half a bottle already writing these first few paragraphs so I’d better actually concentrate before it’s all gone! The wine is a bright lemon hue with medium sized bubbles which are all different sizes (a negative apparently). The nose has a light intensity but with zesty grapefruit aromas. There’s a hint of the biscuity good stuff we all crave but not the full on champagne effect. You can’t expect much of that for a 2011 to be fair. The palate is so soft and mellow, and what it lacks in complexity it makes up for in the ‘drinkability factor’. The tingling acidity and citrus is there in abundance and leaves you reaching for another gulp immediately after the glass is down! This type of sparkling wine really suits my palate more so than the ultra-dry mid-rangers from France. I’m amazed how much of it I wanted to drink, usually a glass or 2 of fizz and I’m on to the good stuff, but the Happy Yank in the house had to prize it of me to get a glass for herself! Will write a post up tomorrow, but yeah, completely agree, loved it! Cava gets a 10 from me for being pure, unadulterated fun at a great price. When it comes to Cava, I can’t resist the sabre as the bottle opener! I’ve drunk more Cava than water these last 3 days! marvellous stuff! If you’ve been following #NWTW then you’ll be well aware of my love for a takeaway on a Friday night… so another bubbly number this week made the decision and easy one… KFC! I wrote a piece about what to eat with KFC a while back and bubbles is the perfect partner. I suppose you could go for croquettas and be proper Spanish, but that ain’t my style! We had 3 bottles to get through (there were 4 of us!) and we started with the Freixenet Vintage Especial Cava 2012, half price at Tesco £7.49. The truth is that £7.49 is a very good price for the wine but half price is definitely pushing it. There is some citrus fruit, a bit of apple and a delightful bready-ness from the (short) time the wine has spent on its lees in the bottle (6/10). The second bottle was The Society’s Cava Reserve Brut (The Wine Society £8.50), which shared a very similar flavour profile to the Freixenet wine but with more emphasis on the fruit and a more refined elegant yeasty note (30 months on the lees apparently). This is a steal at £8.50 (7.5/10). Finally we opened a bottle of Finest Cava 2010 (Tesco £6.99 reduced from £8.99). Now Mike talked about rubber being a scent associated with Cava and this wine had a definitely hit of carpet underlay! The smell wasn’t particularly appealing but the wine itself was pretty decent. Again there is plenty of apple and lemon and that very noticeable pastry note, but the Finest has a creamy texture (from the bit of Chardonnay perhaps?) and is a very nice bottle of wine (7/10). Cava really is fantastic value at under £10 and I do wonder when the Prosecco brigade will discover there is more complexity and enjoyment available at this price point. Fully agree on the Prosecco score, a lovely drink, but why do they keep pushing the price up? Cava remains a great buy! After an amazing evening at Copa de Cava last night I am giving Cava an extra 10! Can’t wait to go back – so fresh, so complex, so interesting and so much fun…. TEN! !